In a medium sized bowl add in the flour. Combine the butter or margarine and mix well. Stir in enough boiling water to form a soft dough. Additional flour can be added if the dough becomes too sticky. Break off portions of the dough into golf ball sizes. Roll each dough ball into flat circles. 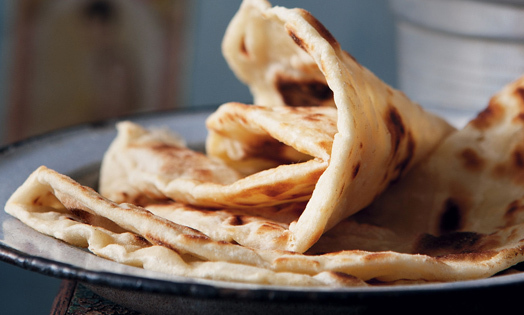 Toast each dough circle or roti on a hot tava or griddle. Smear each circle or roti with butter or margarine. Toast the roti until golden brown. Serve the roti hot.